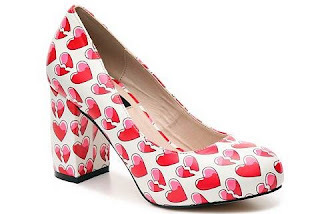 No offense to sky high heels, but a lower, chunky heel is much nicer to your feet, plus they're very on trend right now. 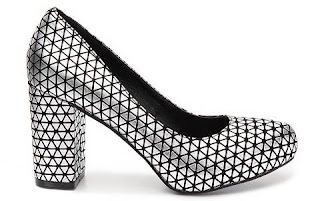 Whether you're wearing them for work or play, the LFL Paige Platform Pump is a fashion thumbs up. 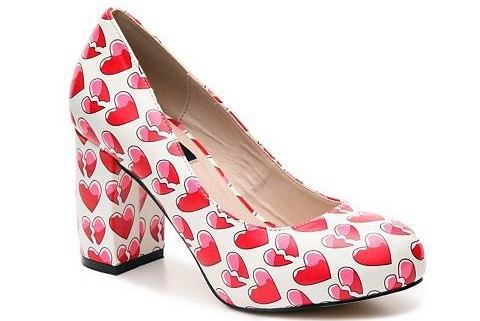 The fashionable pump features a printed, faux leather metallic upper, rounded toe, a 3 1/2" covered block heel with a 3/4" hidden platform. 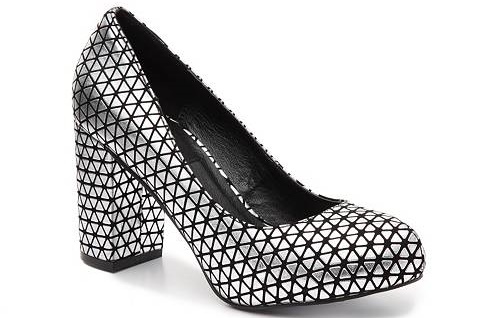 This eye-catching graphic pump is available in black/silver, and red/pink/white for $49.95 at www.dsw.com.